Phoenix, AZ – March 6, 2018 – ABI Multifamily, the Western US's leading multifamily brokerage and advisory services firm, is pleased to announce the $6,000,000 / $146,341 Per Unit sale of the 41-unit (of 60), Solterra on Fifth Condominiums in Phoenix, AZ. Solterra, originally built in 2006, features spacious 1 and 2-bedroom units with a weighted average size of approximately 841 square feet. "Western Wealth Capital acquired the property several years ago having been attracted to the ‘A' class asset's up-and-coming location. With the numerous new developments and planned construction, the Seller's instincts on the area's transformation have been proven correct," states Eddie Chang, Partner at ABI, who along with Doug Lazovick, Partner at ABI, were the lead brokers in the transaction. The Solterra on Fifth Avenue Condominiums are located in Midtown Phoenix off 7th Avenue and Turney Avenue in the trendy Melrose District. The property is just minutes from hiking and dining hotpots along the famed-interior arterials of 7th Street, Central Avenue and 7th Avenue, as well as, SR-51. Solterra is a gated community that sits on 1.98-acres of land, with (2) three-story buildings and features a community pool, elevators and view of the Phoenix skyline. The Buyer, Skyline Companies, is a private investment firm based in Arizona. The Seller, Western Wealth Capital, is private investment firm based in Canada. 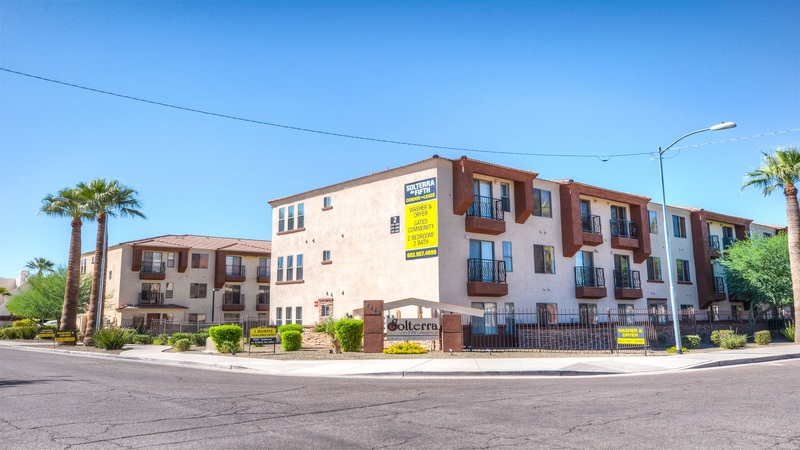 The Phoenix based ABI Multifamily brokerage team of Eddie Chang, Doug Lazovick, John Kobierowski, Alon Shnitzer and Rue Bax represented the Seller in the transaction. Samir Sawhney of XCD Realty & Property management represented the Buyer.